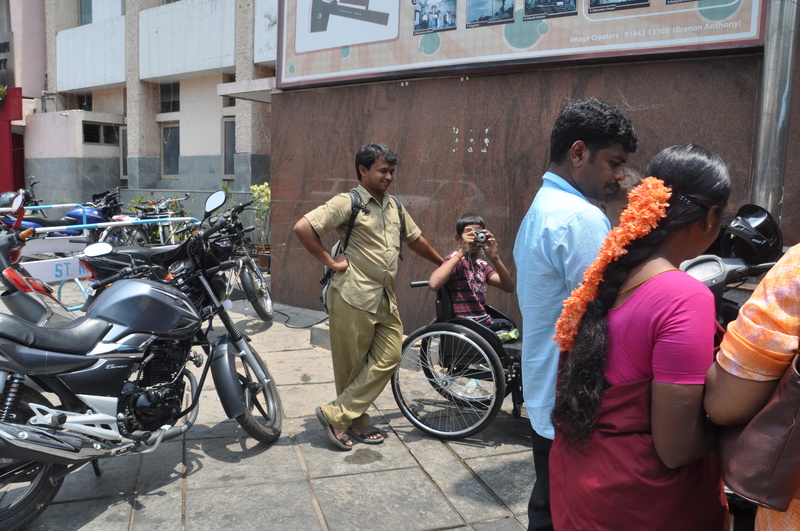 Starting March 2011 we, decided to do our first photography workshop for the differently abled students in Bangalore. Our sincere thanks to friends from APD and its directors for making this happen. It just happened with one phone call and the next thing we knew we were doing was to start teaching . No paper work involved it was awesome!! And to top it all we got great internal support from Dhruv and Nagarag to conduct the photography workshop . We love Bangalore, and did n’t wan’t to end the workshop there. 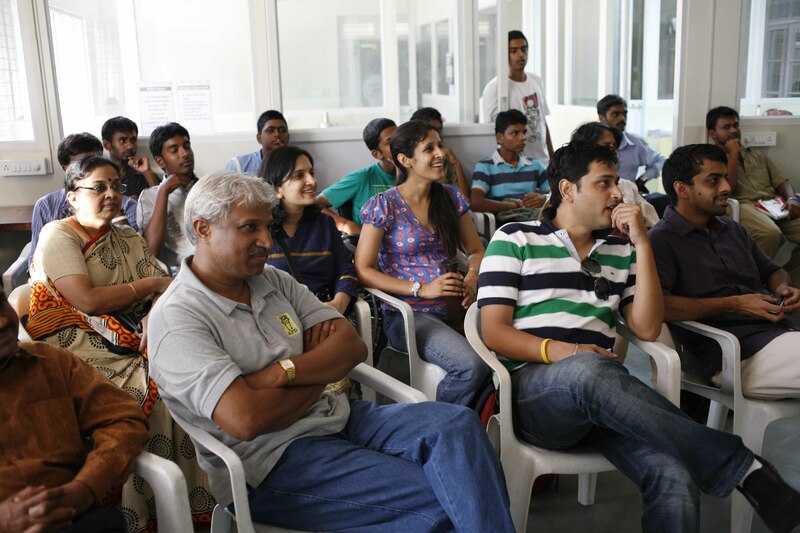 Hence the first workshop was followed by another .which was taken up by a friend and fellow photographer Selvaprakash. During this course of two months ( our workshops run long ) , he interacted, showed them images and helped in edits. In between all this along with Chandan,we also made some posters, bags and designed some tee shirts for internal use . Luckily we got a fair deal of support from friends who allowed us to project the pictures we took during our photography workshops at their venues ,websites and initiatives. Thank you Madhu , Open Show Team, ANTS initiative, Untravel,Sen6, Tapprs, and of course Ashoka Foundation. It was awesome to see the gang from Delhi land up for one of these exhibitions in Bangalore and take us by surprise . It was year of first’s and what we did in Bangalore, we wanted to replicate it in New Delhi. So in association with TZP of Sun Foundation we conducted our first photography workshop in Delhi and we loved it. The dedication showed by students only now means ,we have to continue it . So, we want to do double of our figures for this year. We did n’t keep any target for first initial year but now for the next, we want to teach at least sixty students and do exhibitions. Progressing from the blog , we want to build a dedicated website and get registered. And from a bootstrapped way , we want to be if not in a comfortable position work in a state of normalcy. Hence our merchandise should be ready in 2012 for distribution . We always believe in involving everyone for our own evolution and improvement. Hopefully we can collaborate with a lot more individuals who can be a part of our team, designers , entrepreneurs, people interested in technology and making use of images, photographers who are interested in sharing knowledge and becoming mentors, organizations ,established firms and start ups who would like to tie -up & of course our prospective students. I thank each and every one who has helped us be it coming to the exhibition, inviting us or supporting us with cameras . Meeting people from different walks of life is always inspiring. Usually I have a tendency of making plans for future, long list of goals,things to do list and conspiring as I day dream but thankfully this one has been a keeper . This entry was posted in Beyond photography workshop and classroom stories, News and latest updates, Photography, Education,Vocational training, photojournalism and tagged Ants cafe, ashoka foudnation, Bangalore, Delhi, happy camera club, Madhu, New Delhi, photography, photography workshops in Bangalore, Student, Taare Zameen Par, updates, workshop. Bookmark the permalink.